Treat your loved one to a special surprise by having a bouquet of roses, a chilled bottle of champagne or a gourmet cake waiting in your room upon arrival. Preview our special packages and make your Anniversary, Honeymoon, Birthday or “Just Because” time extraordinary. Please note that we need 48 hours notice to complete your package. Choose one of our Special Offerings Below. 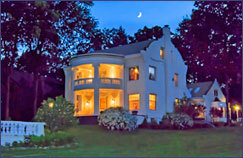 Anniversary or Special Occasion Packages. 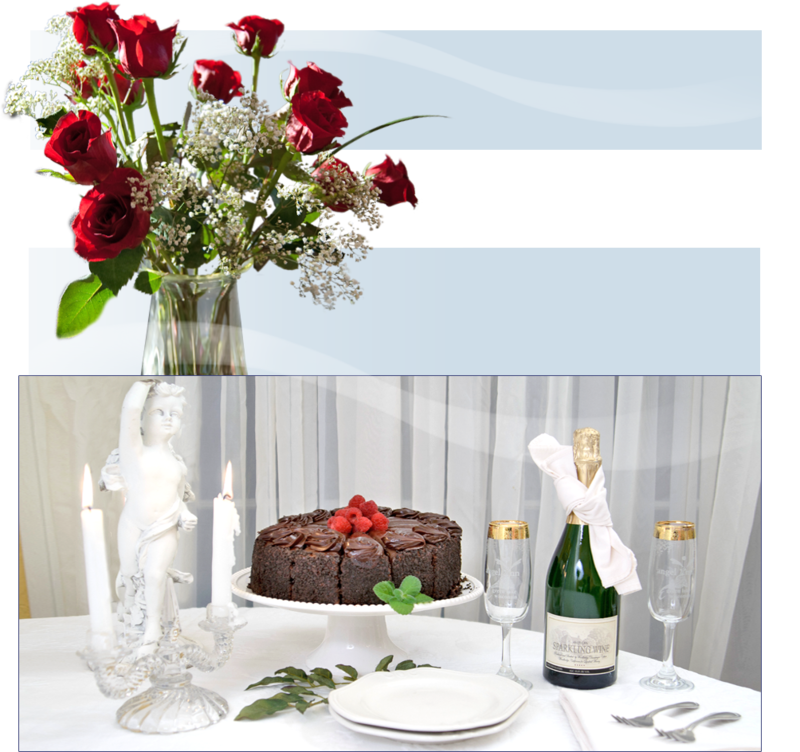 A bouquet of roses, bottle of champagne, or special order gourmet birthday cake adds just the right touch to your special celebration. A dozen red roses and a bottle of champagne chilling by your tub when you arrive. Stay three midweek nights and receive a complimentary bottle of champagne, chocolate truffles and fresh flowers in your room. A gourmet birthday cake and $50 dining certificate in your room when you arrive.